Nicola is a highly experienced educationalist and animateur. She trained as a workshop leader at the Britten-Pears School in Aldeburgh under the guidance of Mary King and Stephen Langridge Ongoing projects include conducting a choir called the D’ Vine Singers as part of Christchurch Canterbury University’s Wellbeing and Singing programme. She is a regular leader for Streetwise Opera who work within the homeless sector and recently worked on their RPS award-winning performance, Secret Heart, at the Southbank. She has also been a mentor for the BBC on their project Go Sing!, which encouraged the setting up and running of choirs in primary schools in Westminster. In 2011, Nicola was asked to be a guest artist for Youth Music’s search for national choir to perform at the Cultural Olympiad. Throughout 2012, Nicola was Musical Director for one of Glyndebourne Young Voices outreach projects. In 2013 Nicola was Musical Director for Aldeburgh’s Albert Herring Feasts, a series of celebrations throughout Suffolk with community choirs and youth groups based and inspired by Britten’s Albert Herring. As Vocal Director for the Royal Opera House’s Voice of the Future programme 2013-14, Nicola created a 18 month programme of teacher training resulting in a performance with the teachers in July 2014. 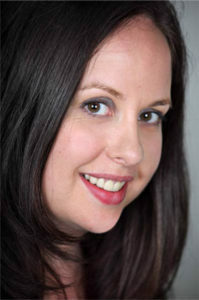 She has also worked on projects for the Royal Opera House, Covent Garden, English National Opera, Opera North, English Touring Opera, Aldeburgh Productions, Islington Arts and Sing Up!.